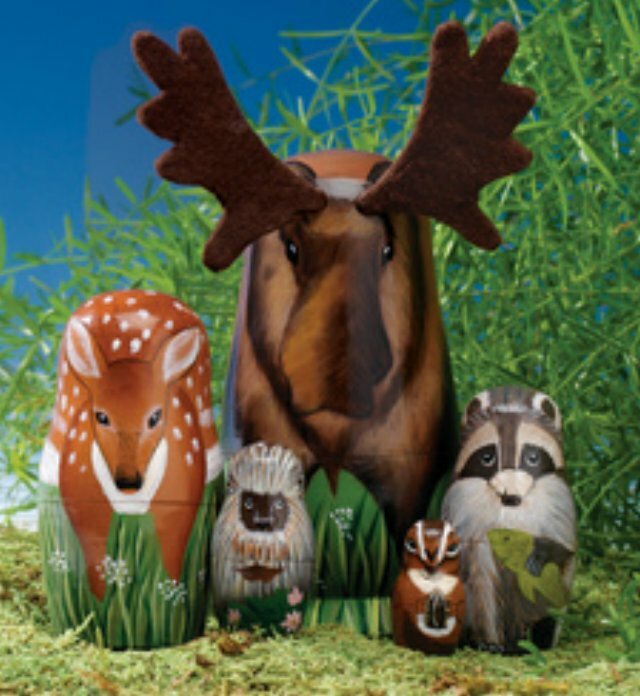 The mighty moose with soft felt horns, a gentle doe, a rascally raccoon, a prickly porcupine and a chipper chipmunk all come together to hold your small trinkets and bring a smile to your face. The perfect addition to any nesting doll collection. Set of five nesting dolls, the largest measuring 6" tall.